Dr. Robin Rutherford has teamed with Rosemont Media to develop and release a new, state-of-the-art website for his Odessa dental practice, the Art of Dentistry. 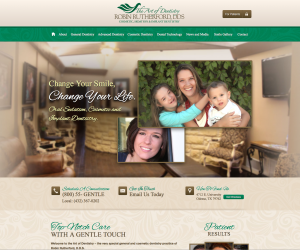 Odessa, TX — Odessa cosmetic dentist Robin Rutherford, DDS of the Art of Dentistry has recently announced the launch of his newly-enhanced dentistry website. Designed to be a trustworthy dental resource for the community, Dr. Rutherford says he believes the upgraded layout and functionality of the site will help to improve user experience for both current and prospective patients. Additionally, he notes that the website is now responsive, meaning each page of content within the site will automatically calibrate to fit the screen size of desktop computers, tablets, mobile phones, and any other devices from which it is being accessed. Throughout the website, Dr. Rutherford has also provided access to his practice’s Facebook, email, and contact information in the footer and sidebar of each page. He says, “Doctor-patient communication has always been a priority at the Art of Dentistry, and offering patients multiple avenues through which my practice and I can be contacted will only help to enhance the level of care we provide.” The Odessa dentist adds that he encourages patients to use these means of communication to ask questions or address any concerns they may have in regard to general, advanced, or cosmetic dentistry. 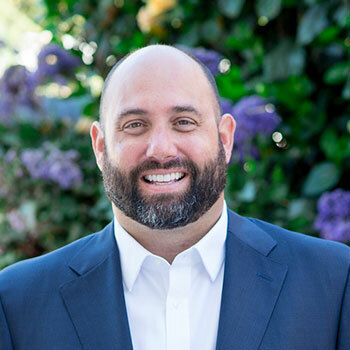 Designed in collaboration with San Diego-based dental website design firm Rosemont Media, Dr. Rutherford says he is excited for the opportunity to share his dental knowledge and expertise with those seeking dental information. Whether considering a treatment for themselves or for a loved one, he adds that he hopes people throughout the community will use the site as a trusted resource for all their dental needs. A graduate of Texas A&M, Dr. Robin Rutherford earned his dental degree from the University of Texas Dental School at San Antonio. At the Art of Dentistry, he offers a comprehensive variety of dental treatments and procedures ranging from routine cleanings and porcelain veneers, to implant and sedation dentistry. Dr. Rutherford is an active member of the American Academy of Cosmetic Dentistry and the American Orthodontic Society, as well as a Fellow of the Dental Organization of Conscious Sedation. He is available for interview upon request. For more information about Dr. Rutherford and the Art of Dentistry, visit gentledentaldoc.com and facebook.com/gentledentaldoc.